Monday is almost over - Hooray! 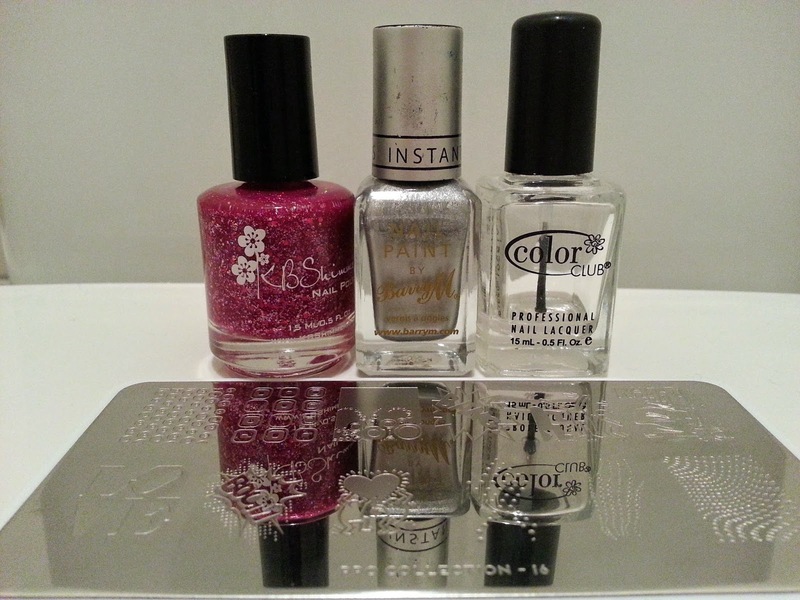 This week's theme of something new couldn't have been timed better, I had a new indie polish arrive on Saturday that I was eager to try and combined it with a new (as in still unused) MoYou plate :) Harmony... The indie is from a favourite of brand of mine, KB Shimmer and is called Razzical, a stunning deep pink sparkly number! Two coats of this lush little indie, followed by a simple comic strip-like boom motif stamped as an accent nail and finished off with topcoat. 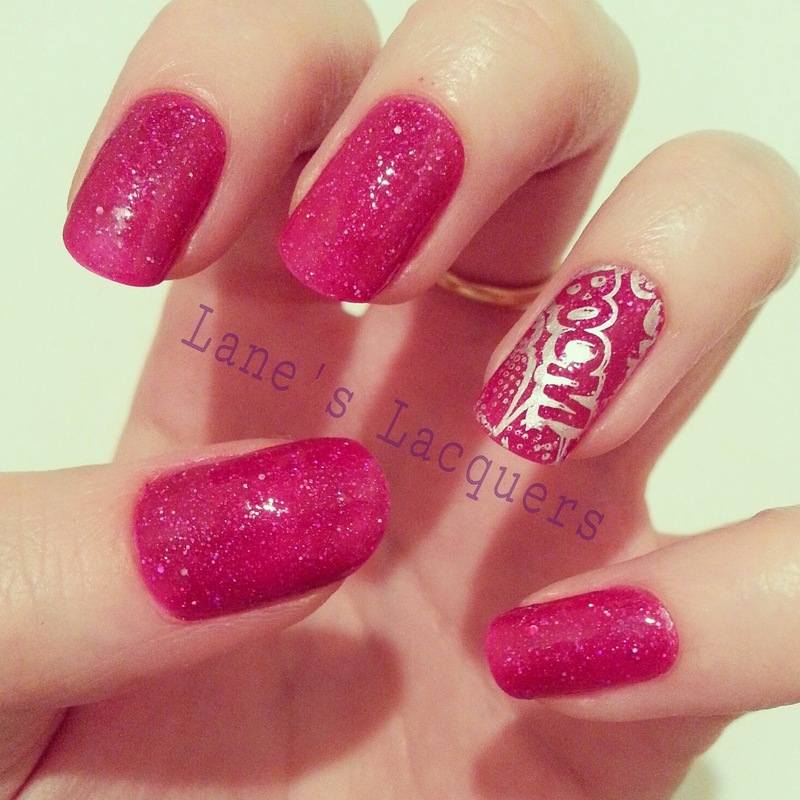 I contemplated other stamping but I just didn't want to cover up any other nails, this polish is just sooo pretty! Well, that's a wrap, short and sweet for tonight as I have an airport run to do at 5am! ARGH! Holy sparkle, batman!! LOL I think the polish and the stamping look great together!